STX Roofing and Construction does hail damage assessments. 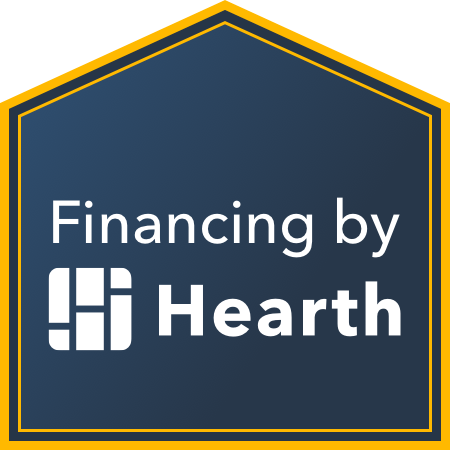 When evaluating shingles for hail damage, two types of damage are considered: latent damage and severe damage. Latent damage may affect the function of the roof materials at a later time. Latent damage to shingles exist when the hailstone impact removes the protective mineral surface granules and exposes the asphaltic matrix to ultraviolet light. This can accelerate the deterioration of a shingle. Severe damage exists when a shingle is punctured, fractured, or torn. Shingles are designed to protect against the weather, but the wind, rain and hail often that often accompany a storm can cause damage. It is also important to remember not all storm damage is obvious and that hidden damage can cause severe problems weeks or even months after a storm. To be sure you do not have any hidden damage, have your roof inspected by a roofing contractor you can trust to provide and honest hail damage assessment. When assessing hail damage to shingle roofs, our team will walk through the roof and draw a detailed plan. In addition to evaluating roof shingles for hail damage, we will evaluate for roof appurtenances as well. All structures, like your shed and garage, should be checked after a hail storm. High winds can tear and remove shingles, leaving the roof deck, underlayment or old shingles from a previous roof exposed to the elements. Wind can also lift and curl shingles by breaking the seal that bonds them together, leaving your roof vulnerable to wind-driven rain. Hail can leave dents or pockmarks in shingles, dislodging the protective granules that protect against rain and sun damage. You should always look for leaks and water spots in your attic and ceilings. Even though your roof appears undamaged from the outside, hidden leaks can lead to problems later. Check ceilings and light fixtures for signs of water and inspect your attic closely with a flashlight. After checking the exterior of the roof,you should check the exterior of your home as well. This includes assessing the exterior finishes of the structure, window assemblies, and door assemblies. Call a roofing company you can trust! After a storm, there may be a lot of contractors competing for your attention. Make sure you choose a contractor you can trust, such as STX Roofing and Construction ! We will do free roof inspections, assess your damage, and provide an estimate, and replace your roof using proven products! 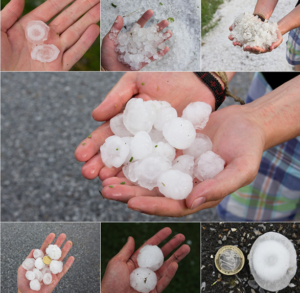 We specialize in hail damage assessments and take it very seriously! Do not hesitate to call us today for your free roof inspection at STX Roofing and Construction !